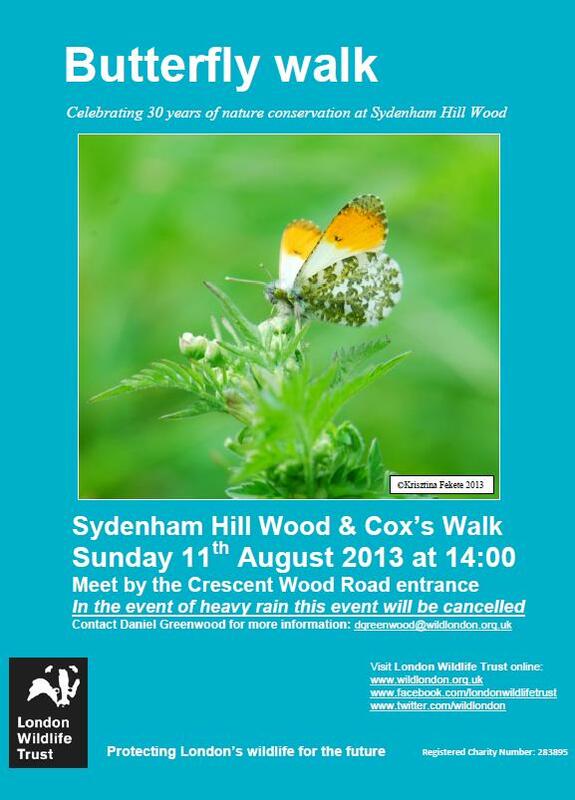 This Sunday, the London Wildlife Trust will be running a butterfly walks at Sydenham Hill Wood. Please meet inside the Crescent Wood Road entrance at 14:00. In the event of heavy rain the walk will be cancelled – because there will be no butterflies! The walk will last for 90 minutes.